For more than 45 years, our SCOR Campus training program has been dedicated to supporting and assisting the development of our clients throughout the world. With a view to creating and maintaining sustainable business relationships, we offer our commercial partners themed seminars and conferences. 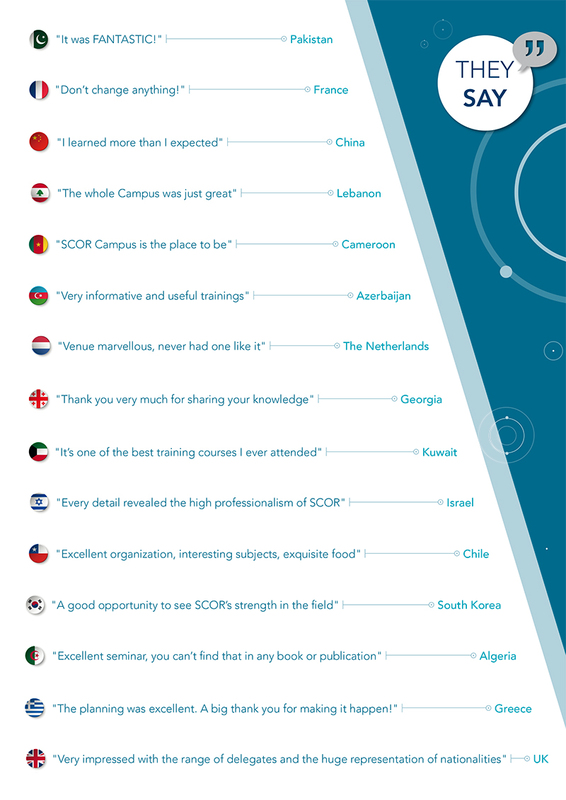 WHY join the SCOR Campus Community? WHO can register for a SCOR Campus program? for underwriters, actuaries, reinsurance managers etc. Make sure you choose the most appropriate one for you! Click here to access the Campus website. All around the world, we share reinsurance expertise at numerous industry events and sponsor or participate in a wide variety of conferences, meetings and special events. SCOR also uses this wealth of expertise to offer unique training to its commercial partners with workshops, in-house trainings or roundtables.